Svani Group Limited does it again. We at Svani are committed to giving back to the community. 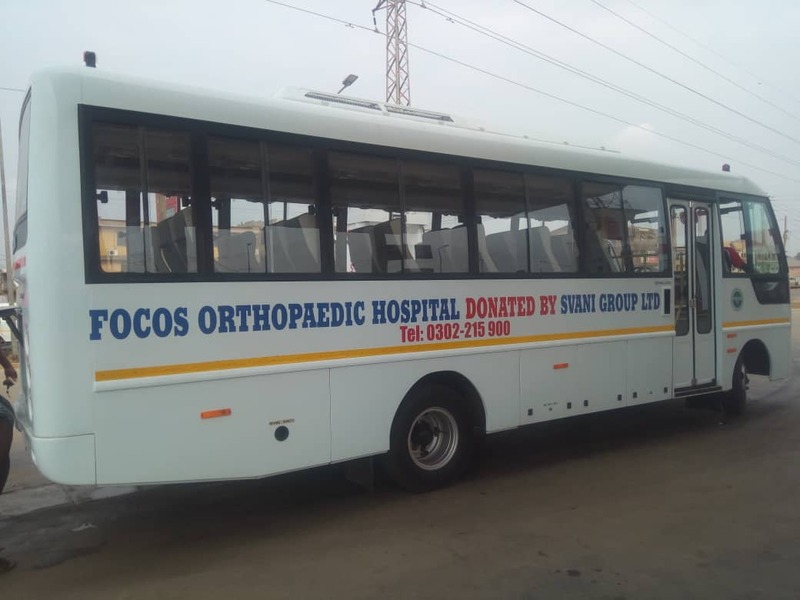 Svani Group donates a 33 seater Eicher bus to Focos orthopedic hospital in a ceremony held at their premises on the 25th of January,2019. 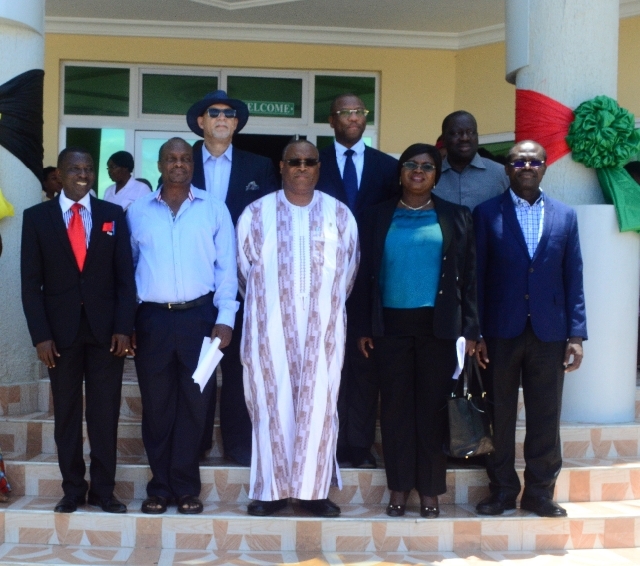 A nine-member Board of Trustees for the Korle-Bu Teaching Hospital’s (KBTH) Trust Fund has been inaugurated to manage its newly established trust fund. It is an investible fund that is meant to mobilise resources to support needy patients as well as provide equipment and infrastructure, all aimed at improving the patients’ experience. The Minister of Health, Alex Segbefia, who inaugurated the Board commended the leadership of KBTH for taking the initiative to set up the Fund. “This initiative has come at a time that the country has been classified as a lower middle-income economy which has affected the flow of donor support and urged the other teaching hospitals to emulate same,” he said. 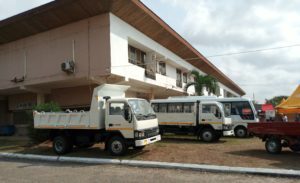 “In spite of the massive injection of resources into Ghana’s premier teaching hospital, there is still the need for more support to enable Korle-Bu maintain its leadership role in providing healthcare services,” the Minister said. He advised the trustees to be accountable and transparent in the discharge of their duties as that is the only way to attract donors to contribute to the Fund. The Board of Trustees is made up of Justice Senyo Dzamefe, a Justice of the Court of Appeal; Nana Obokomatta IX, the Amankorahene of Gomoa Akyimpim Traditional Council; Mr Thomas Svanikier, Chairman of Global Strategic Ventures Ltd; Nii Nikoi Amasa, Corporate Monitoring Manager, Ghana Ports and Harbours Authority; and Rebecca Okai, a Procurement Specialist, Ministry of Communications’ eTransform Project. 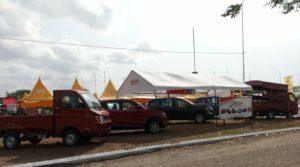 The rest are Joseph Siaw Agyepong, Executive Chairman of the Jospong Group of Companies; Dr Seth Adjei Baah, Chairman and Chief Executive Officer of Shaaba Group; Lawrence Addo, Managing Director of Relish Health Foods Ltd; and Dr. Gilbert Buckle, CEO of Korle Bu Teaching Hospital. In an address, the CEO of KBTH, Dr. Buckle said that the establishment of the Fund was a dream which started a year ago and the idea was to create a vehicle for both public and private sector bodies to lend their support to the hospital. He said the Trust Fund will go a long way to help people who cannot afford certain medical expenses and called on corporate bodies and philanthropists to donate generously to the Fund. 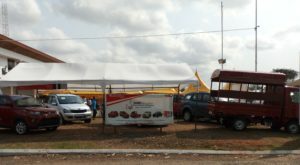 The KBTH Trust Fund was launched in March this year and realised an amount of GH₵700,000.00. 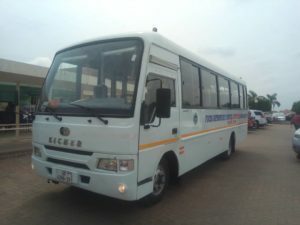 Svani Group Limited, a leading automobile and logistics services firm, has donated a 35-seater bus the Winneba Youth Choir in support of the singing group’s operations. 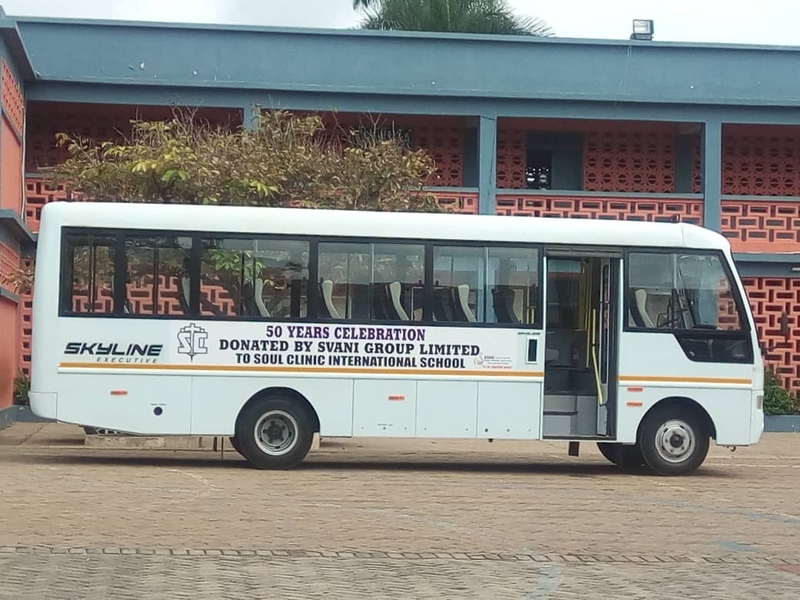 The donation, which formed part of activities marking the silver jubilee anniversary of the company, is aimed addressing the transportation challenge facing the nation’s leading youth choir. 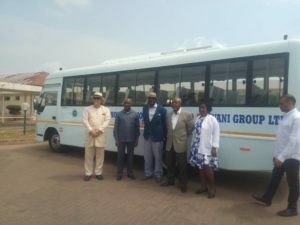 In addition, the presentation of the bus, worth 64,000 dollars, is to demonstrate the company’s commitment to its social responsibility. 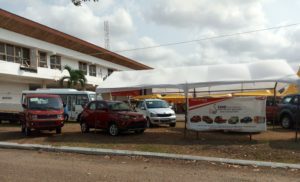 Thomas Svanikier, Executive Chairman of Svani Group, which also has subsidiaries in the energy, oil and gas and real estate sectors, presenting the bus at Sakumono on Monday, commended the choir for its outstanding performances across the country. Describing the choir as “ambassadors of joy,” he said the group was selected as a beneficiary of the company’s anniversary charity programme in acknowledgement of the choir’s effort in providing soothing and quality music for the soul. 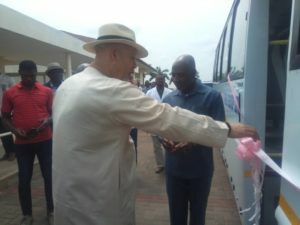 “You always sing to comfort people who are in sorrow, and celebrate with people in happy moment,” he said, adding that the donation was to assist the group to do more for the benefit of Ghanaians. 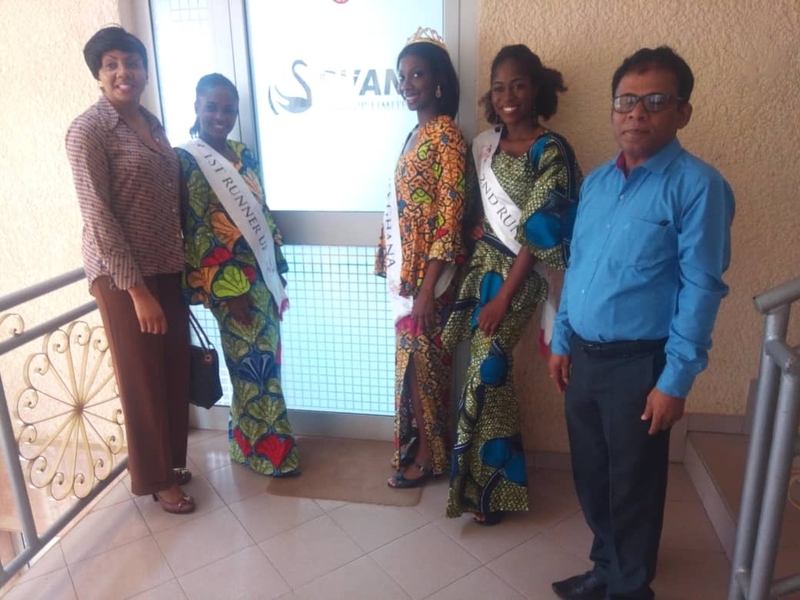 Mr. Svanikier indicated that other beneficiaries of the company’s anniversary charity program include the Osu Salem and the Osu Girls’ schools where mechanized boreholes and toilet facilities have been provided for the students. “We are determined in giving to address the true needs of the needy individuals and groups in society,” he said. 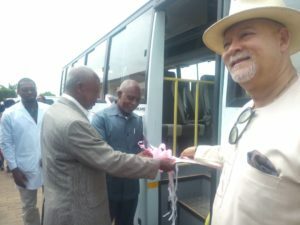 He said the gift provide a high relief for the choir which had been grappling with the challenge of means of transport in conveying the members to and from events. According to him the high transportation cost was adversely affecting the group, resulting to its inability to honour some invitations. “Thankfully, this gift will help us to overcome that problem,” he said. He prayed for God’s guidance and blessings for the company, and promised that the bus would be properly maintained. 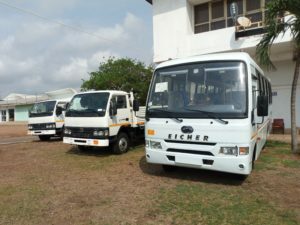 Ghana ‘Second Lady, Mrs. Matilda Amissah-Arthur has donated a 33 Seater Eicher Bus to the Kinder Paradise School, a non-profit institution caring for deprived children and youth in the Prampram area of the Greater Accra Region to support its operations. Speaking at her office during the donation in Roman Ridge, Mrs Amissah-Arthur a friend of kinder Paradise over the years said ,she was motivated by the activities of the School hence the need to help them. 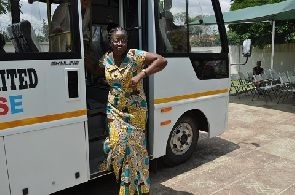 She said Mrs Silke Roesner, founder of the Kinder Paradise put the request to her when she attended the Speech and Prize Giving Day of Kinder Paradise, hence her decision to support it with the bus through the assistance of Mr Thomas Svanikier, Executive Chairman of Svani Group. 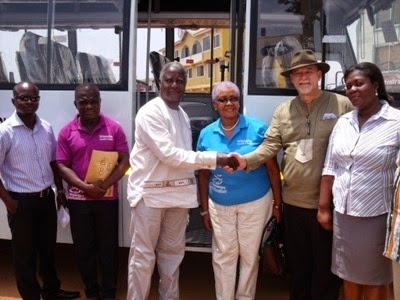 Hence they put their heads together to contribute to a good cause and here we are,” Mrs Amissah-Arthur said as he handed the keys of the bus to Mrs Silke Roesner, founder of the Kinder Paradise . She called on individuals and organisations to always help organisations like Kinder Paradise with the aim at this target group, contributing its support in a context where government cannot provide sufficient aid for the need of such children.